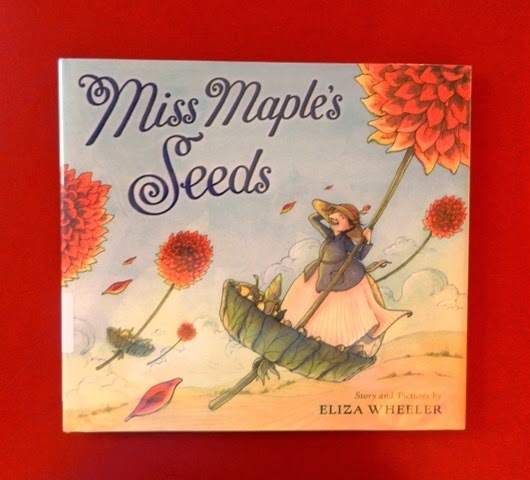 Summary: Miss Maple, a finder of orphan seeds that did not find a place to grow, sees potential for a miracle in every guest. She tenderly nurtures each seed through the up-coming seasons, taking them on field trips to consider places to grow in next year’s planting. When she deems it is time for them to make roots of their own, she sends them off, telling them to take care for even the smallest seed can become a great tree. Then she goes orphan seed gathering again. Hanna’s Comments: I especially loved the page in which the illustrator shows the reader 20 different types of seeds. The illustrations are so clever & fanciful that you may want to have multiple copies of this book as you read it.